Adoración Ambulante was created for a multimedia performance combining diverse ensembles in locations throughout the Cathedral Square in the Mexican village of Tepoztlán, near Cuernavaca. Church bells sound a call to worship. A Fanfare of conch shells in the four corners of the courtyard is answered by trumpets in the church tower. 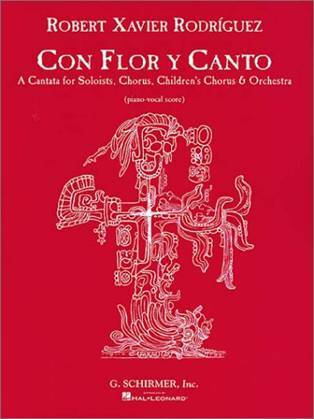 The central portion of the work is Con Flor y Canto, a twenty-minute narrative cantata with Spanish texts from ancient Aztec and Mayan chronicles and the Bible. The cantata is framed by a choral introit and benediction in both Latin and Nauhuatl, plus dances and processionals led by Mariachis. are available for performance separately.